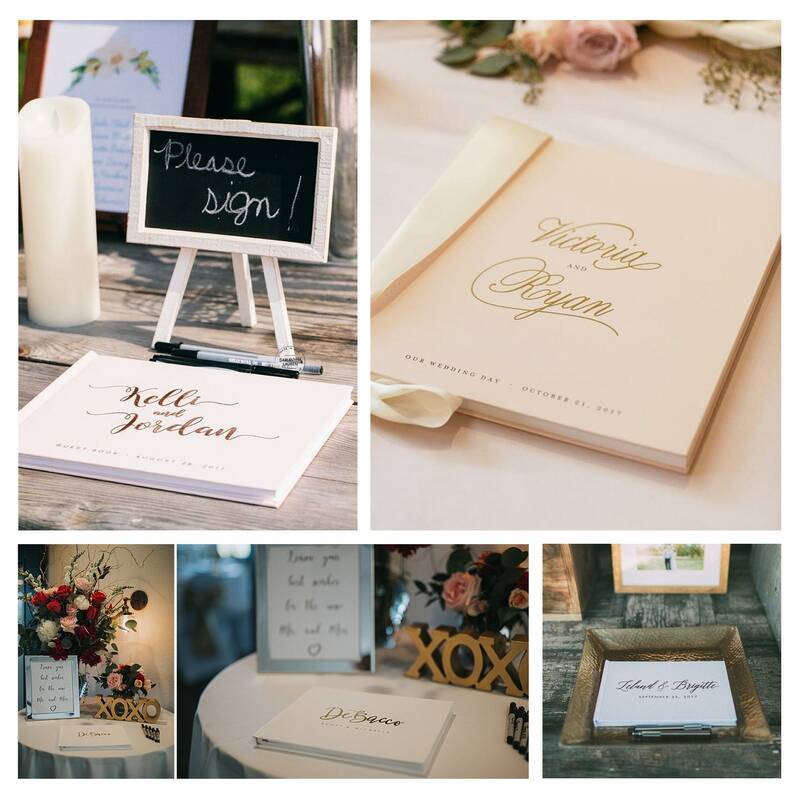 This wedding guest book in real rose gold foil comes in a classic 12x12 size with stunning real foil on the hard cover. 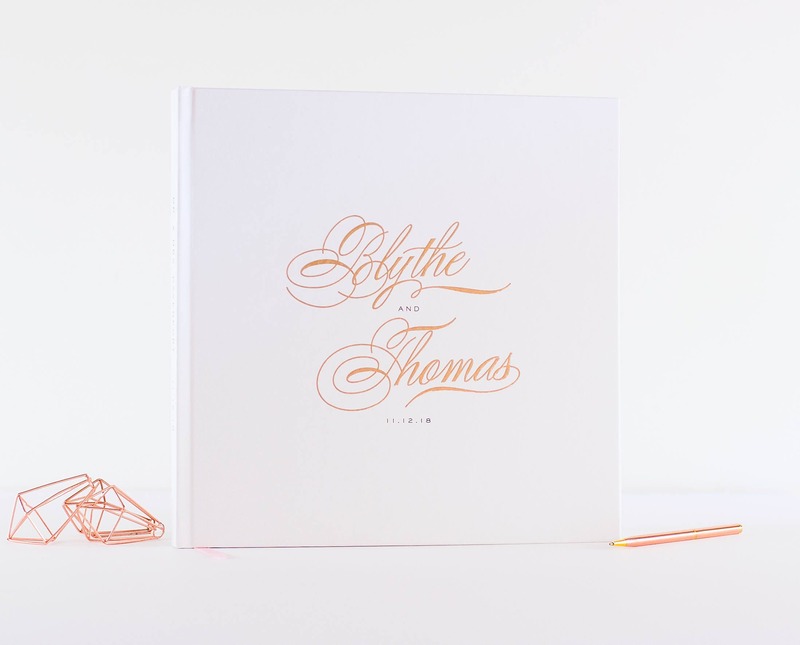 Your wedding date is also featured on the cover of this stylish wedding guest book or wedding album. 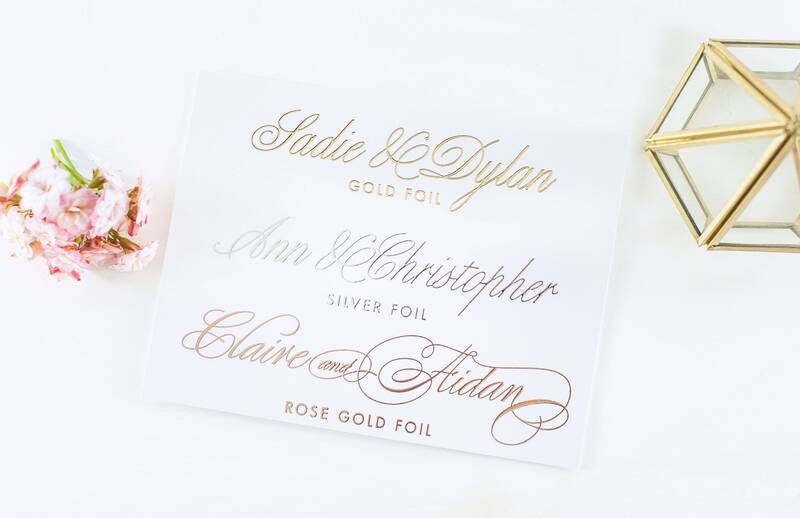 The classy, timeless design is available in rose gold foil (shown), gold foil or silver foil and also features 5-6 words of your choice on the spine detail (not foiled). 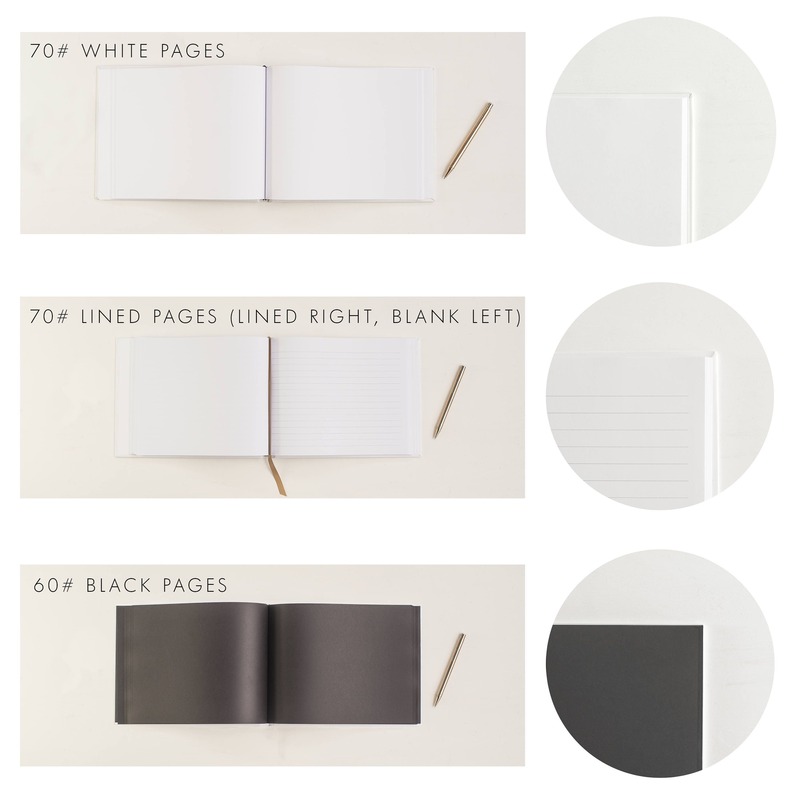 Shown here in a classic white cover color, we can also customize the color cover to your liking using our cover color chart. The classic look of this cover design celebrates your Best Day Ever and coordinates well with almost any wedding theme! 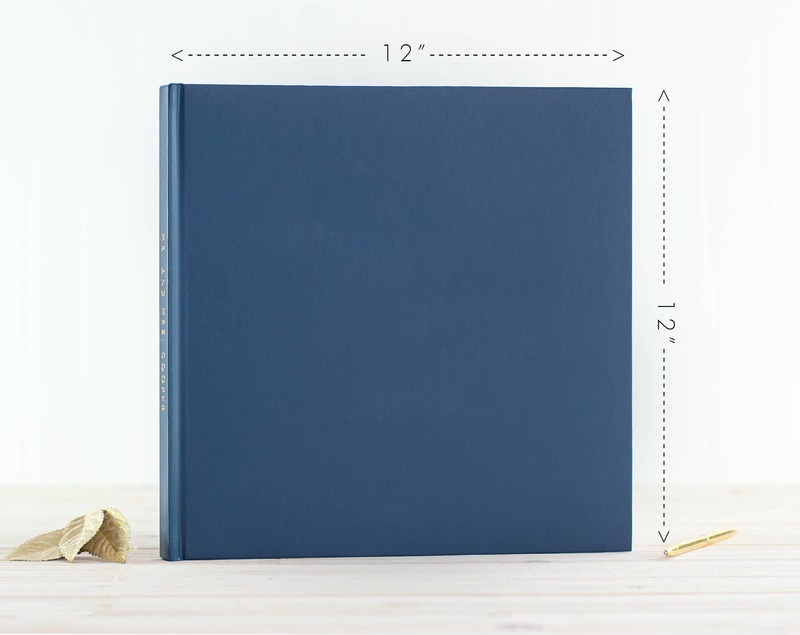 Our 12x12 book is shown here with a pen for scale. These hardcover books offer a personal touch to memories of your big day. Collect signatures and well wishes on our lined pages, or use as an instant photo book or photo booth album with the black or blank pages. 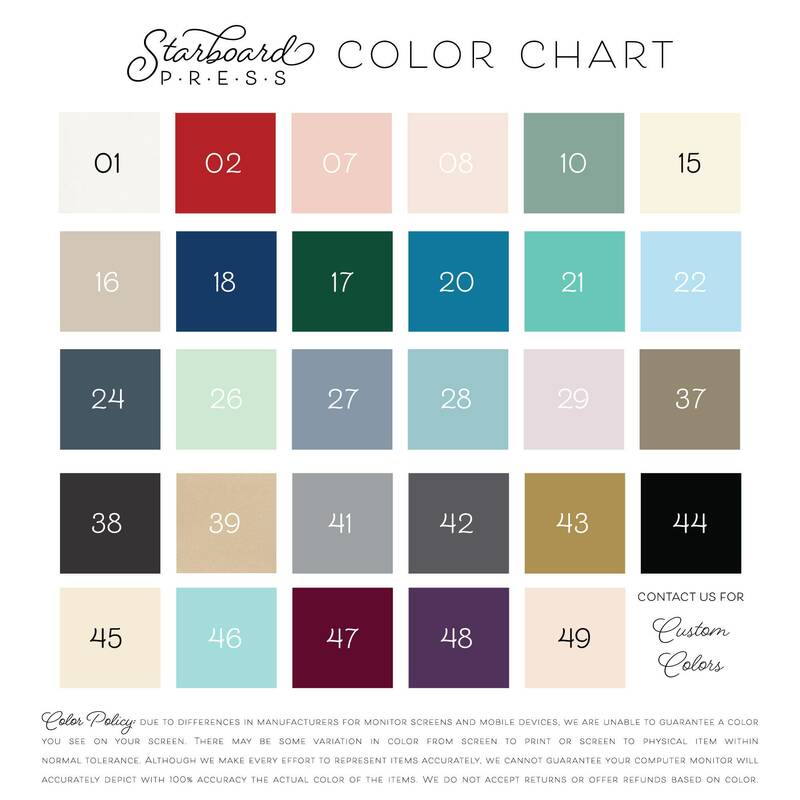 This 12x12 size also works great as a wedding album or scrapbook - remember to use an archival adhesive for photos and mementos, and review our photo tips below. The pages are acid free. **Please note small text on cover & spine is not foiled. 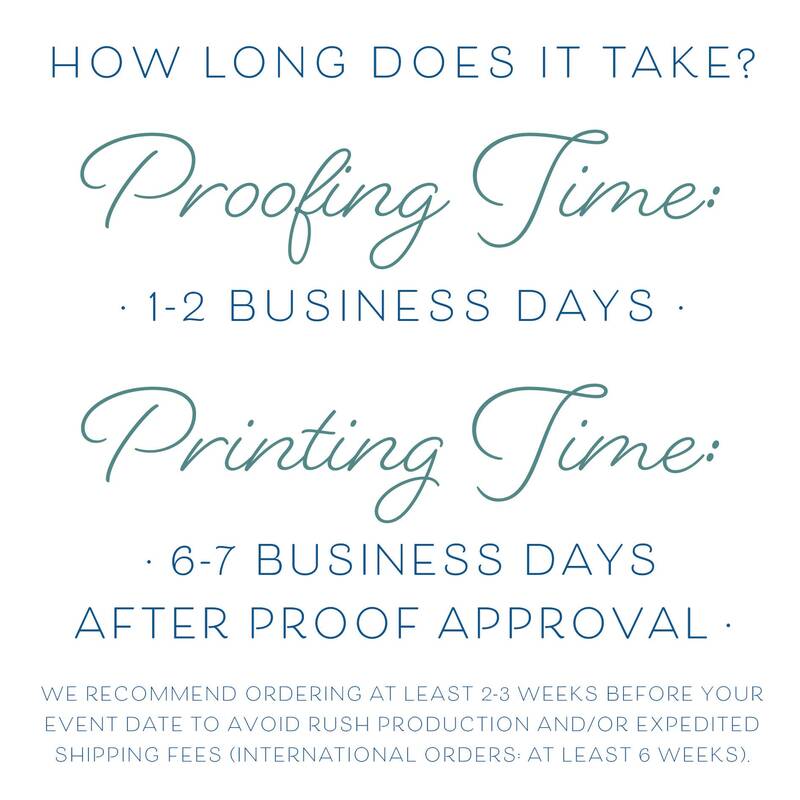 Our hard cover casebound books are laminated for longevity and protection during handling on your big day and for years to come, and have a velvet finish. 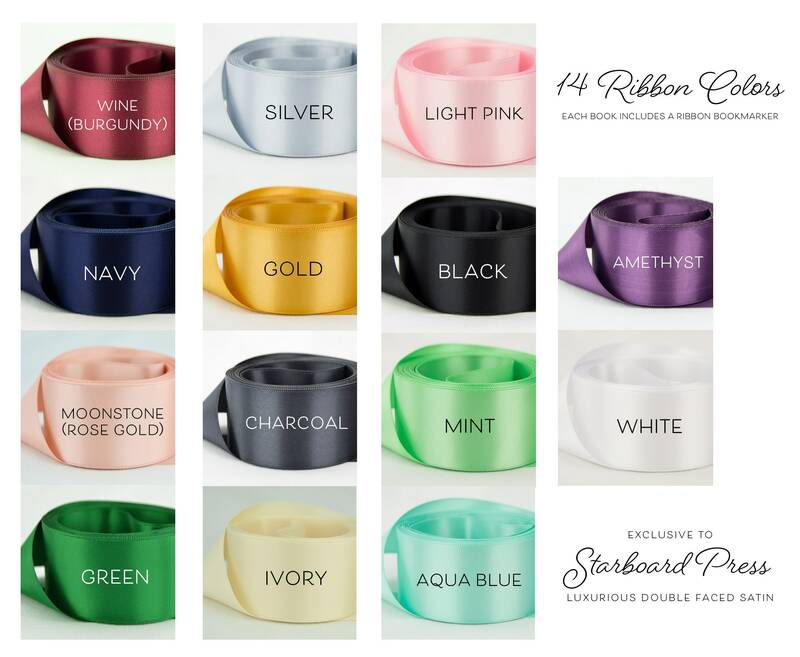 They can be wiped clean with a soft cloth to keep it looking new. The foil is slightly raised on the cover. 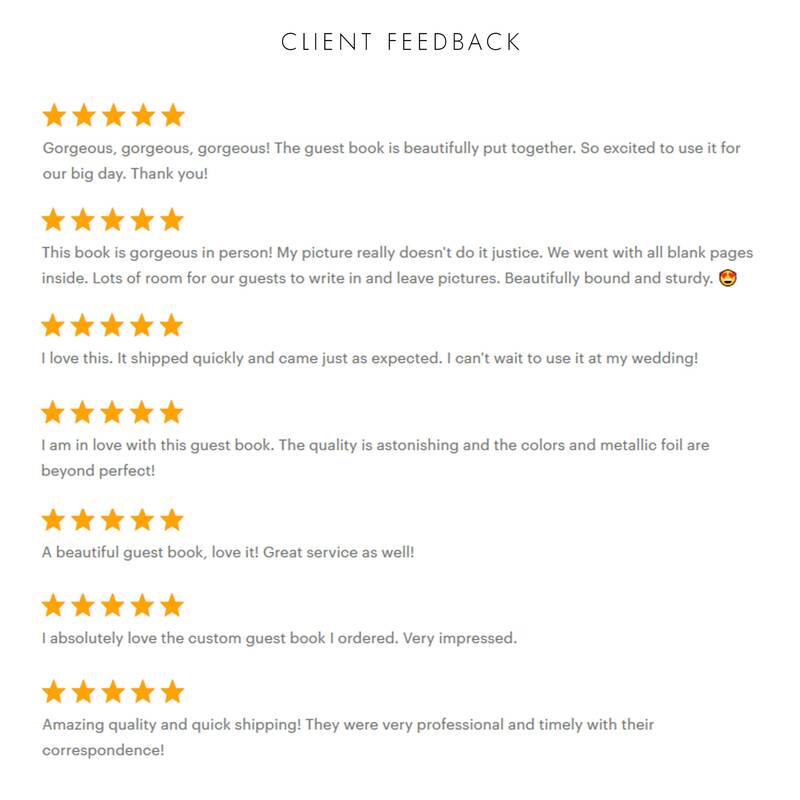 Our guest books do not have a lay-flat binding. There are no unsightly barcodes or logos on our back covers.